Finally Google will be taking the wraps off its much-rumored Pixel smartphones next month on October 4. Google has also started sending out invites for the event. 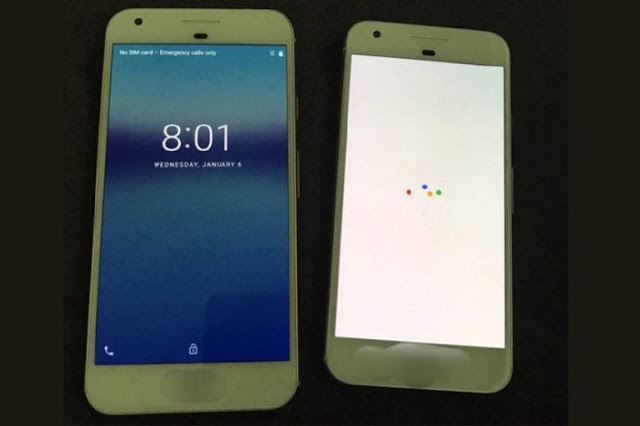 While the new leaks of Google Duo comes in more real form for the first time. As you can see in the picture, the first real images coming out which moreover look like iPhone and both phones seem to be made out of aluminum primarily, but as we’ve seen in previous renders, the top part of the devices will have an accent with a different material: presumably glass. The front panel shows the selfie camera, proximity sensor and earpiece above the display, and thick bezels on the sides. The power / sleep button and volume rockers are placed on the right edge. Turn to the back and you can see the lower half covered with metal and top half covered with glass. The camera sensor and LED flash are placed on the top left corner, whereas the fingerprint scanner is placed between. The lower section of the rear has antenna lines, which reminds us of HTC’s One A9. 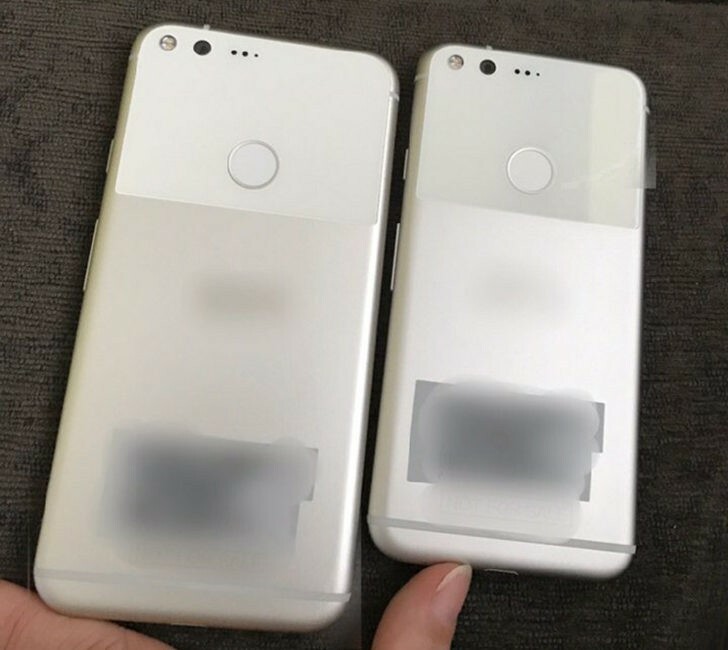 The only difference between the Pixel and the Pixel XL seems to be the size. They are rumored to feature a 5.2-inch display and a 5.5-inch display, respectively. We also can see that the XL has a standard Nougat lock screen and the regular Pixel shows off the new boot animation. This seems to be the same animation that we see in Google’s recently released teaser: at the very end of the video, we see four dots coming together to form Google’s G logo. The company has started teasing the event with a “Made by Google” micro site that promises to keep you “updated about devices from Google”, as well as a short teaser video. The company is also expected to unveil a 4K-capable Chromecast as well as a Daydream VR headset during the same event. Google Pixel is likely to start at $649 (approximately Rs 43,510), which is same as the starting price of iPhone 7 in the US.